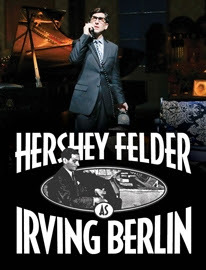 Hershey Felder returns to the Geffen Playhouse with a much lauded and loved performance of Irving Berlin. Berlin was one of the most prolific songwriters and composers of the 20th century earning him the nickname "America's Composer." The show spans Berlin's life from "the depths of anti-Semitism in Czarist Russia, to New York’s Lower East Side, and ultimately all of America and the world" capturing the pursuit of the American dream. The show is a blend of character of musical performance featuring some of his most popular songs such as God Bless America and White Christmas. The show closes August 16th. You can purchase tickets here.